First Home Dreams: Frivolous Friday! Yes, a totally mundane, necessary piece of hardware can be stunning. Big, intricate, steeple tipped hinges. But at $20 per hinge and up, it's not really in the cards. Sometimes I wish our simple farmhouse had of been built with a little more flair, and that we had some of these babies kicking around like so many other lucky old house owners. I'm not giving up hope, however. 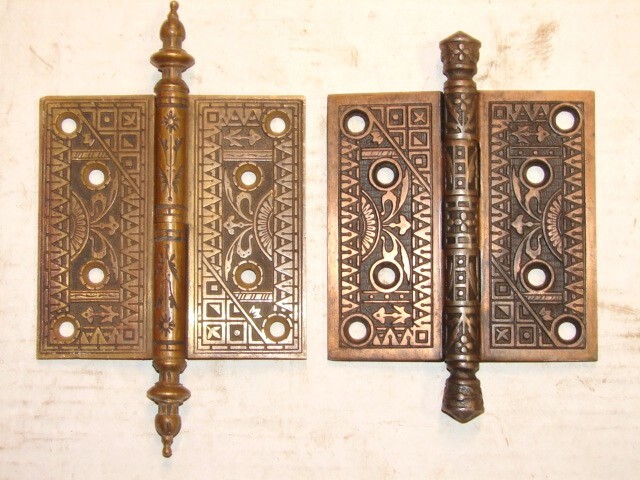 I will continue to browse antique and salvage stores (online and in real life) looking for the elusive reasonably priced Victorian hinge!